The tiny Island of Rum Cay in the remote southern Bahamas offers some of the best big game fishing in the world. From world class wahoo, to Blue Marlin, Rum Cay has it all. At SumnerPointMarina.com you will find every thing you will need to know about creating your fishing & diving vacation in Rum Cay located in the south-east Bahamas. We will get you there, accommodate you and show you the time of your life! Rum Cay is a beautiful secluded island with only 80 permanent residents allowing you to see the real Bahamian culture only experienced in these Out Islands. On Rum you wil find deserted sandy beaches, pristine coral reefs, and some of the best fishing and diving in the world. You will find world class blue marlin, tuna, and wahoo. If you are interested in sportfish charter please book early as this is a very small island with limited fishing options. 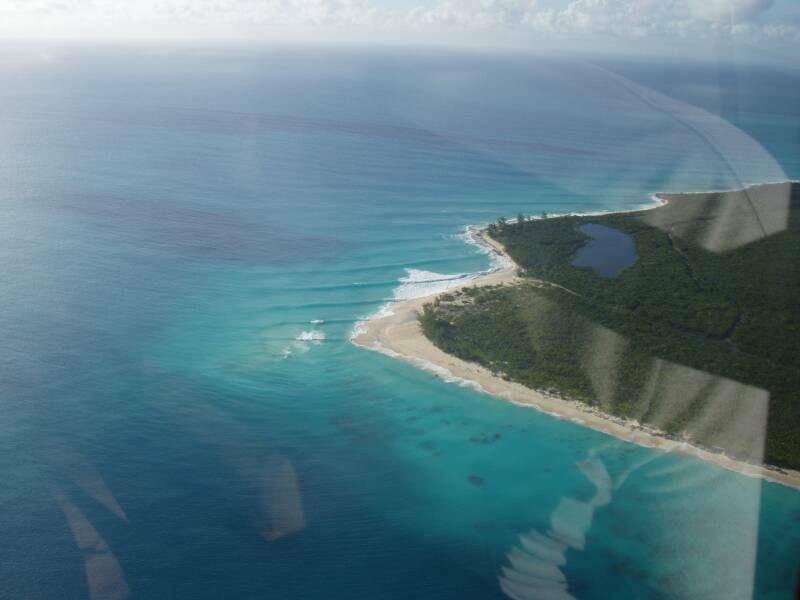 The most convenient way to get to Rum Cay will be a bahamas charter flight from Fort Lauderdale. Read on to find out more and check out the links provided for information on visiting this wonderful island paradise. Rum Cay offers World Class Bahamas Sport Fishing home of the most productive waters in the world. Chartering a boat in Rum Cay can reward you with that once in a lifetime fish. Pursue Bone Fish in the salt flats. Bahamas bone fishing is tops in the world and the tiny island of Rum Cay offers an interesting opportunity to target bonefish in virtually unfished waters. 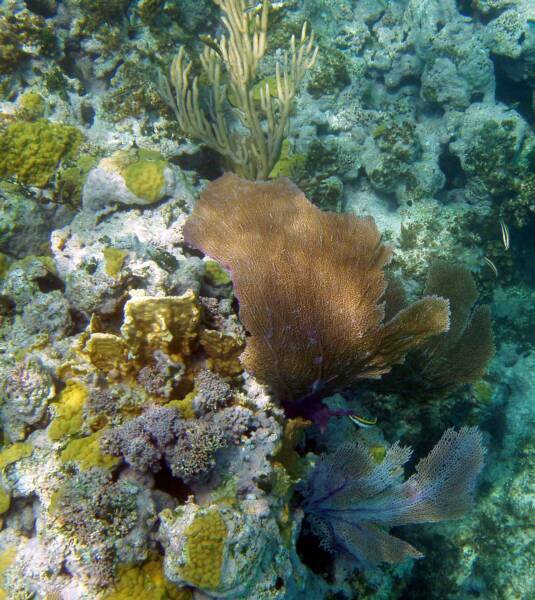 Dive Rum Cay - Many people will charter a yacht for the ultimate scuba diving and fishing vacation. There is no better way to explore the Out Islands of the Bahamas. Bahamas Yacht Charters offers you a nice break from your Bahamas Fishing Charter trip. The run to the fishing and diving grounds is so short, you can do both in the same day for a well rounded boating experience. Check out our fish-dive-stay package with accommodations at the Gone Surf Inn. Free Dive with DeeDee or Billy Gaitor for Lobster, Conch, and Grouper. These guys have been fishing and diving in Rum Cay their entire lives and know where to take you. The surf on Rum Cay is a well kept secret (sorta). 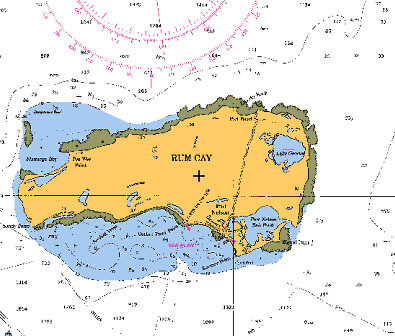 Rum Cay has a "few" breaks around the island. But you won't find anyone on the island who knows where they are so that's something you will have to discover yourself. Oh, and don't ask Bryan! One of our favorite guesthouses is the Gone Surf Inn. This funky five bedroom house can be split into two separate rentals, a two-bedroom 600 sq ft apartment and the main house which is three bedrooms. Foreigners have provided some great lodging options for Rum Cay from cute little beachfront guesthouses to beautifully done high-end homes. Check out Rum Cay Rentals for a few great options! Located only steps from Sumner Point Marina the Yo Ho Ho House is a beautiful beachfront home with spectacular views of St. George's Bay and 360 degree views of Rum Cay from the cupola. Sumner Point Marina is a small boutique marina/resort with about 20 slips, fuel, electricity, water & wireless internet. Stay in these four colorful little beachfront cottages with A/C & microwave. Out of the Blue Restaurant serving Bahamian cuisine in a funky decor of coral carvings and a hidden mermaid! A Bahamas Charter Flight from Fort Lauderdale or South Florida to Rum is 2 1/2 hours door to door. No hassles, fully trained pilots, FAA Licensed Operator, Twin Engine Aircraft. Sign Up for Open Seats/Flights to Rum Cay Click Here! Big Game Fishing Journal - "Paradise Found"
Saltwater Sportsman - "Cat Bights"
Weekly Fisherman - "Fishing the OVER UNDER Style"
Deep Sea Fishing Ocean City Maryland or Ocean City Sport Fishing - Wow, this is good Big Game fishing!